Yesterday I shot a fashion story, and one of the looks was a burning building. 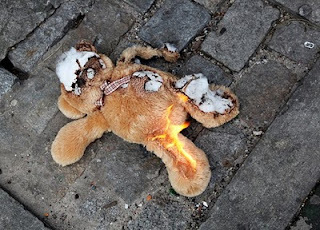 We went to the playground and set a teddy bear on fire. I feel like I'd like to set things on fire more often. It's pretty exciting. A view of NYC from the cooper square hotel.